Many of us are in the middle of a week off, in addition to the Bank Holiday Monday we’ve just had. But have you thought about what we’re celebrating ? Some of you may remember the term ‘Whitsun’ Bank Holiday. Whitsun is an old word and scholars disagree on its exact origin, but these days in most churches, it’s known as Pentecost. Pentecost falls fifty days after Easter. But unlike Easter which moves, back in the late 1970’s, the Whitsun bank holiday was ‘fixed’ to the end of May. This means our Bank Holiday and the day of Christian celebration now normally differ. But what is Pentecost, and why is it so important that we get a bank holiday ? 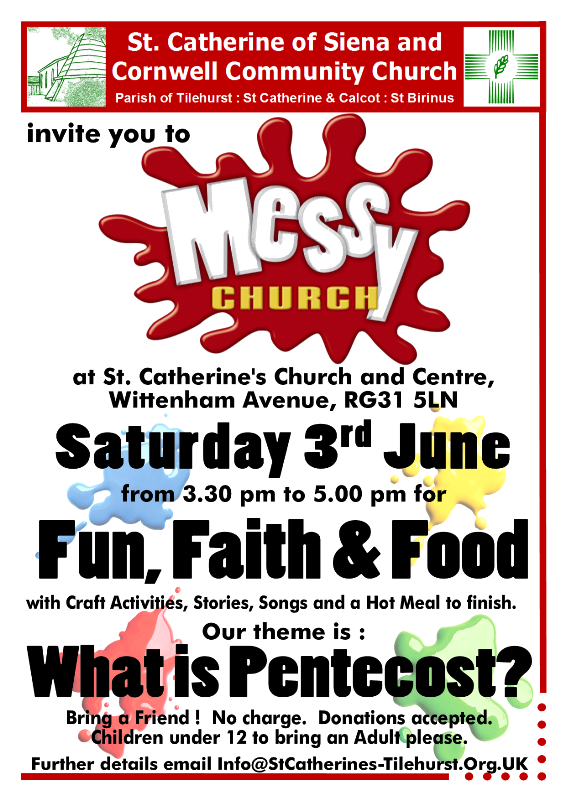 Come along to Messy Church on Saturday June 3rd (the day before Pentecost) to find out ! We’re delighted that our friends “Word Puppets” will be joining us for our celebrations. We hope to see you next Saturday at St Catherine’s, 3:30pm start. 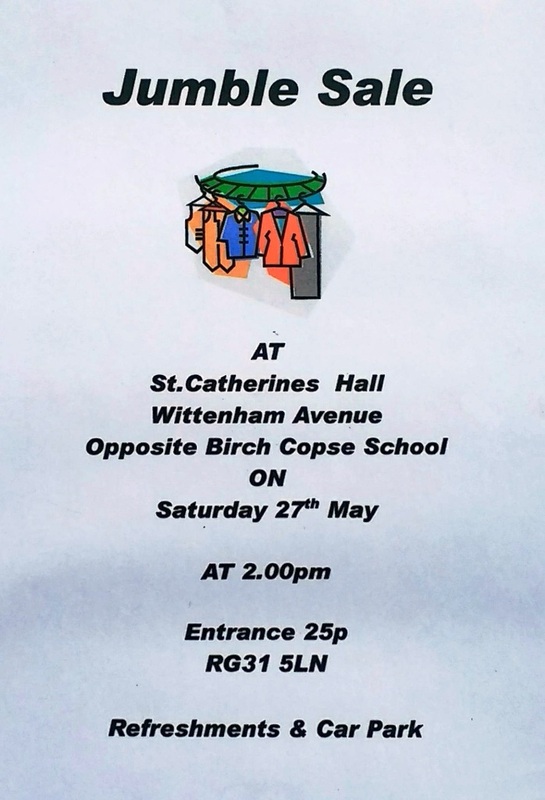 There is a Jumble Sale in St Catherine’s Hall on Saturday 27th May opening at 2:00 pm. 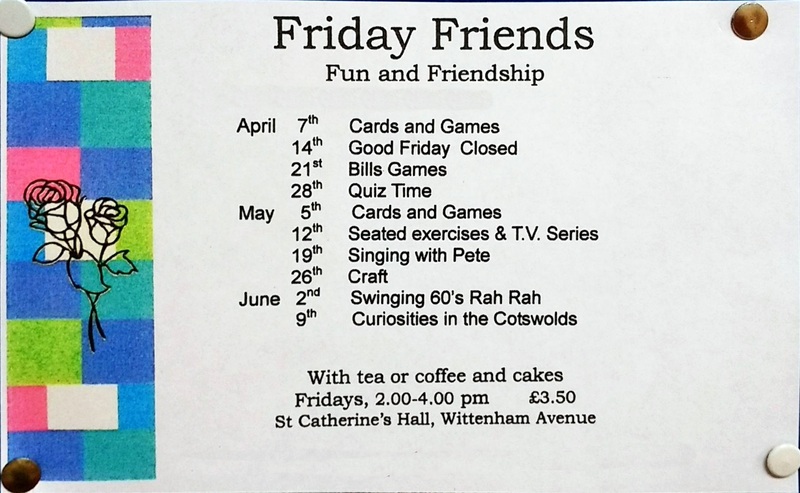 St Catherine’s Café is hosting the Big Brekkie every morning 8:30am to 10:30am from Monday 15th to Saturday 20th. 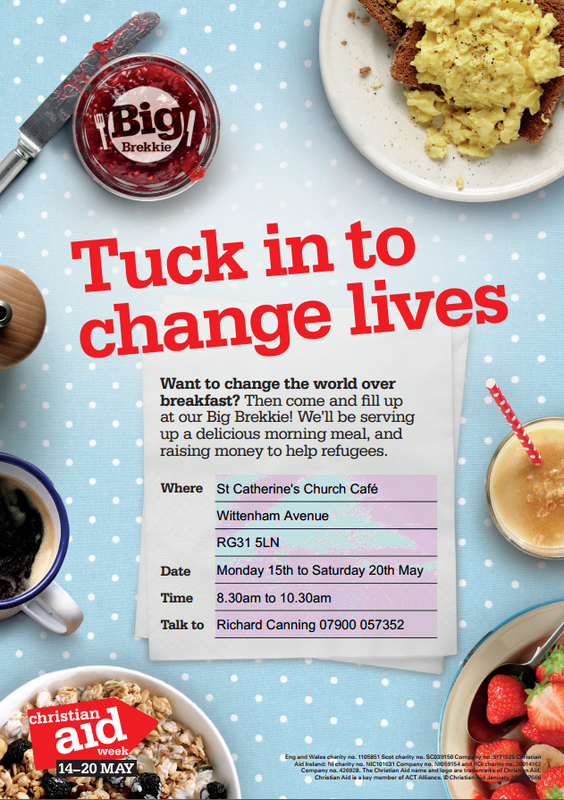 Please come along for a great breakfast while supporting Christian Aid week. The May issue of RG31 – our Parish Magazine – is now available on-line here, or click on the image. 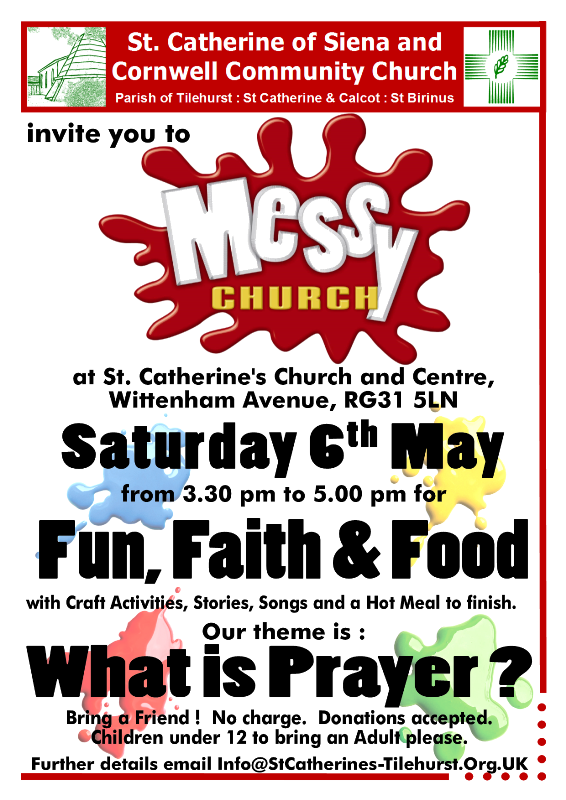 The first Saturday of the month is nearly here, so we hope you can join us for another Messy Church on May 6th. This month we’re thinking about “What is Prayer?”. Prayer is an essential part of the Christian faith, and as usual, we’ll be exploring it through our mix of Fun, Faith and Food with Craft, Stories, Songs and, of course, Prayer ! The kitchen team are planning jacket potatoes, cheese & beans, bread & butter followed by treacle tart and custard. We do hope you’ll be able to stay and join us to eat together. Here’s the program for May and early June.